A huge 55cm playset themed around one of the most epic WWE mathces – Recreate your favourte battles between WWE Superstar within The Elimination Chamber. This toy costs approximately £49.99 (for the latest and best prices make sure you check our retailer list for the WWE Elimination Chamber above). 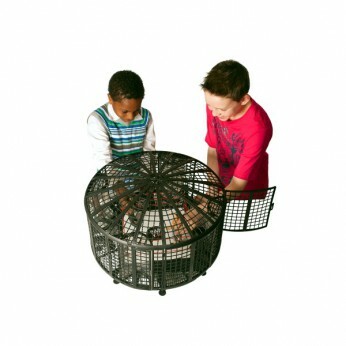 In our review of WWE Elimination Chamber we classed it as being suitable for ages 4 years, 5 years, 6 years, 7 years, 8 years but recommend you check the manufacturer specific advice before purchasing.